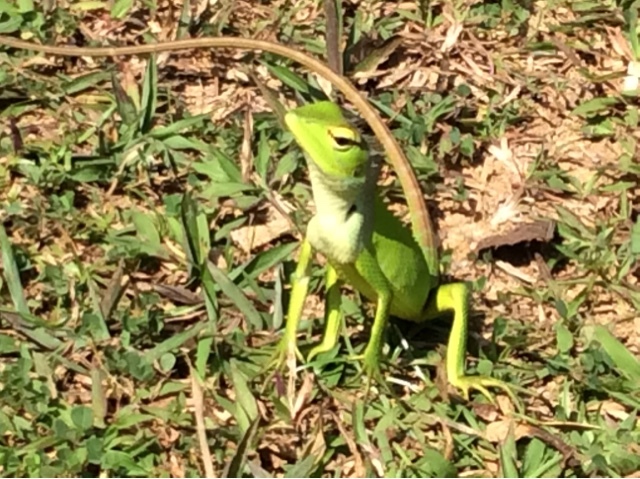 We have just experienced an amazing last 2 days in Sri Lanka. 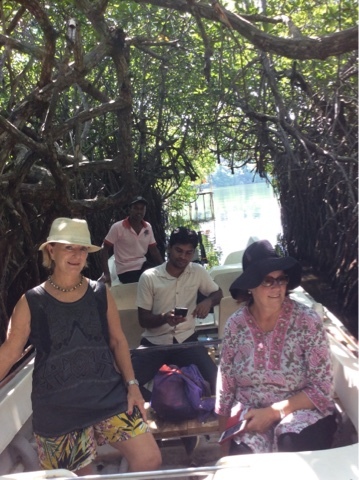 Yesterday we departed the hotel early to avoid the heat, for a boat ride on the Mardu River. 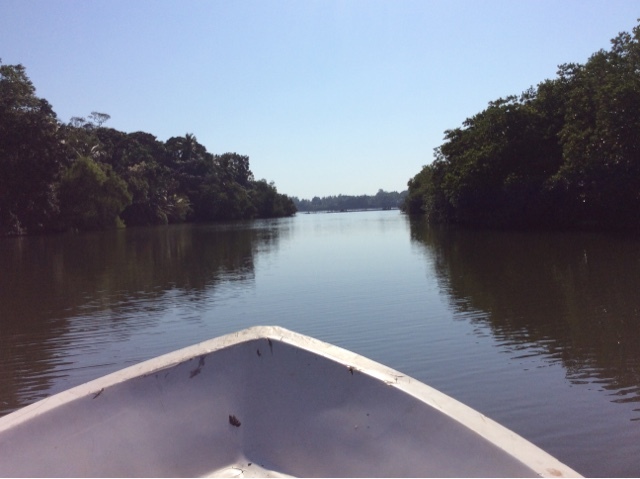 The main treasure of the Mardu is the mangroves that acts as a bio lock to the area giving protection of aqua marine animals and plant life. The other important factor is that 63 islands are scattered throughout of which 8 are inhabited. 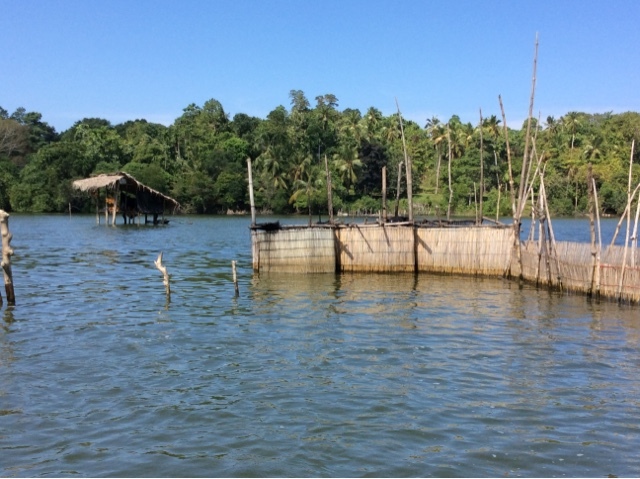 Our journey took us first through the mangroves then out into the main river where our guide pointed out how the locals catch prawns, with a wooden fence with attached netting. At night they light a lamp to attract the prawns. 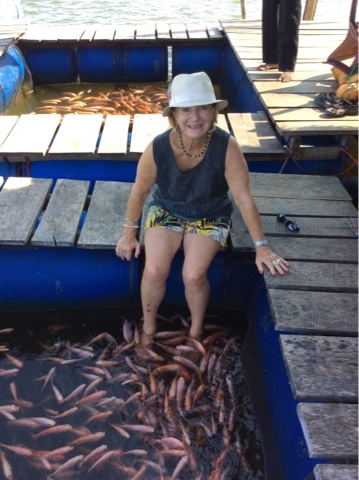 We also visited a carp farm, here is where,if you are game you can have a foot therapy treatment, the carp nibble on your feet taking off all the dead skin, as I had not tied this before, I just had to have a go, amazingly I found it very relaxing. Our next point of call was a visit to Cinnamon Island, growing cinnamon is not an easy task. After initially the cinnamon tree grows freely before being cut down, but the roots are still left in the soil, within a year new growth begins. The shoots that have been cut are stripped and the cinnamon is dried in the sun. cinnamon is well know for its healing powers. 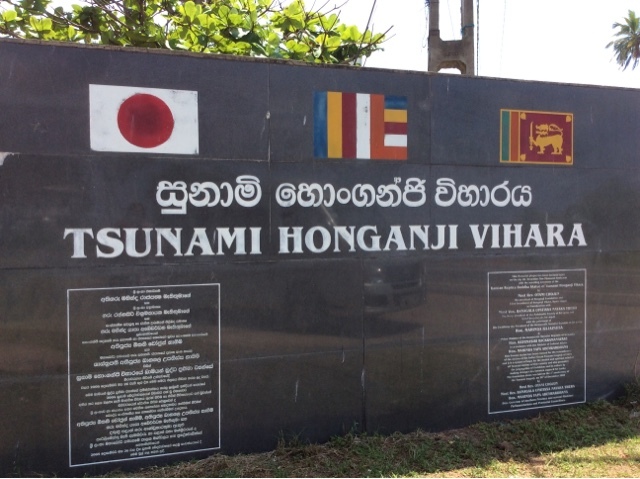 Our tour then continued to Galle one of 8 Unesco World Heritage sites, on the way we stopped at the Tsunami memorable which was very moving, over 50,000 people perished. 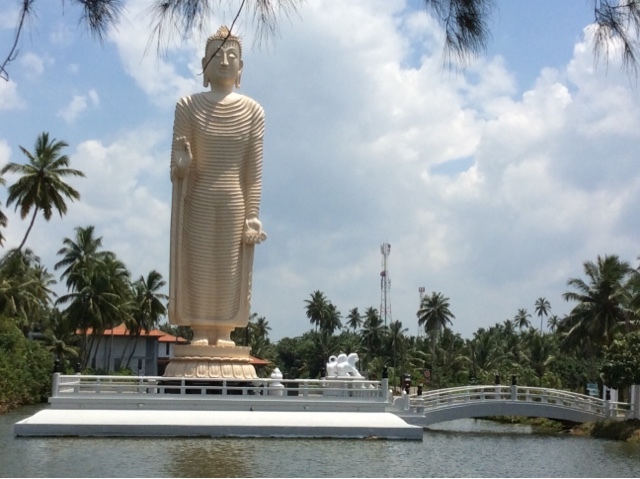 This Buddha statue was built by the Japenese in honour of the people who tragically died. 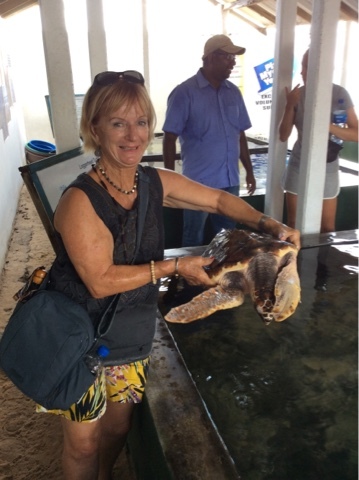 Then onto the turtle hatchery where we were given this unique opportunity to handle not only the day old turtles, but ones that weighed over 10kg. The lovely man who devotingly looks after injured turtles, and operates the hatchery, which was originally operated by his mother and father, who sadly perished along with many other family members in the tsunami. 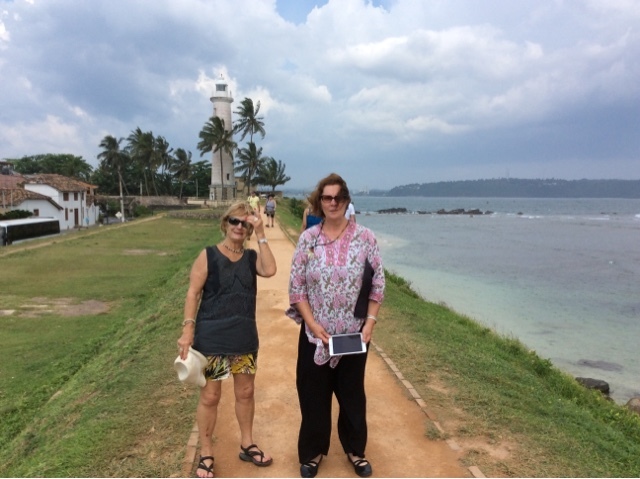 Reaching Galle by lunch time we. Were taken to a charming colonial hotel. Lunch was superb! 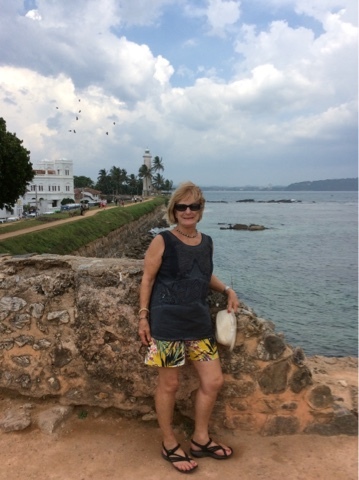 After once again refilling our bodies, we set off for some exercise walking around Galle Fort, and its grass covered old fortress, and ramparts? Sri Lanka's best preserved old town dates from the Dutch period 17th-18th century, and it feels like a living open air museum, the walled town lies in front of a large modern city. Within the fort there are many street vendors selling wooden statues, colourful masks, jewellery, gems, lace tablecloths, amongst quaint Cafes that line the streets. On our walk around the perimeter we saw young boys entertaining the tourists by leaping off the rocks into the ocean, hoping that a rupee or two will be tossed their way. Visiting local markets are so colourful, and the exclusivity of this place is all part of the charm. The carrots are scrubbed, the tomatoes are shiny, and the aubergines look like the've been varnished. The market displays the freshest, finest produce in Sri Lanka. There has been a market on this site selling the best produce of the land and sea for generations. Vegetable stalls fill the centre of the hall each one displaying the cleanest produce. There are stalls devoted to exotic fruits and ones with names that have no English translation. The day would not be complete unless we visit Lauagumga and its spectacular gardens. L was the home of Geoffrey Bowa since 1949 until he passed away at the age of 83. The house has now been converted into a boutique hotel. Bowa was a famous architect who designed many important buildings in Sri Lanka such as Parliament House. 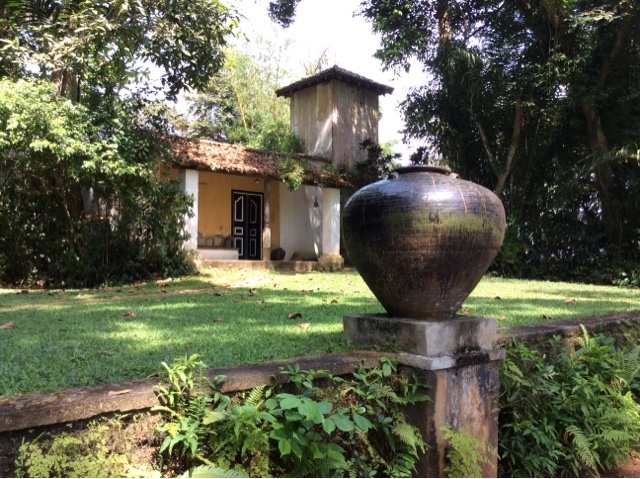 He lived on this estate overlooking the Madu river, the property is surrounded by stunning gardens, dotted with huge urns and statues, rice paddy's, ponds, magnificent mahogany trees, tropical gardens which is a habitat for birds, green frogs and squirrels. This place is truly worth a visit. 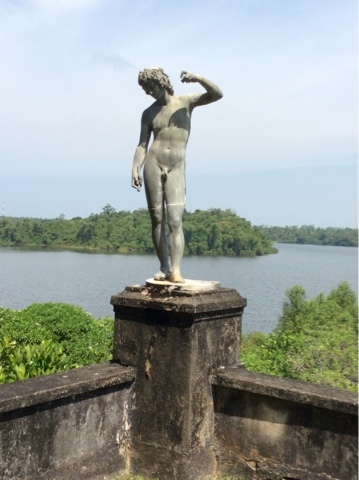 Sri Lanka holds some of the world’s ancient cities spanning together with a culture enriched with 3 thousand years of knowledge. mammals, red slender loris, purple face langur monkey. 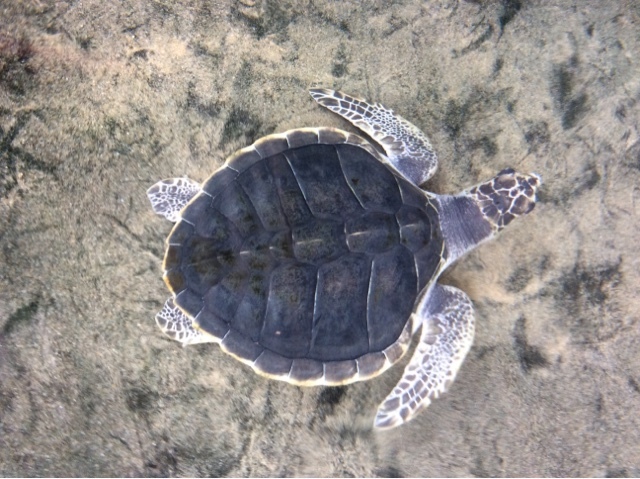 Exotic pristine beaches, Coconut plantations, water sports, diving, snorkelling, rays, turtles, dolphins, whales. Kayak in undiscovered corners of paradise. Enjoy Ayurveda and Buddhist meditation , the country system for over five thousand years, spas, crafts, jewellers, weavers, woodworkers. 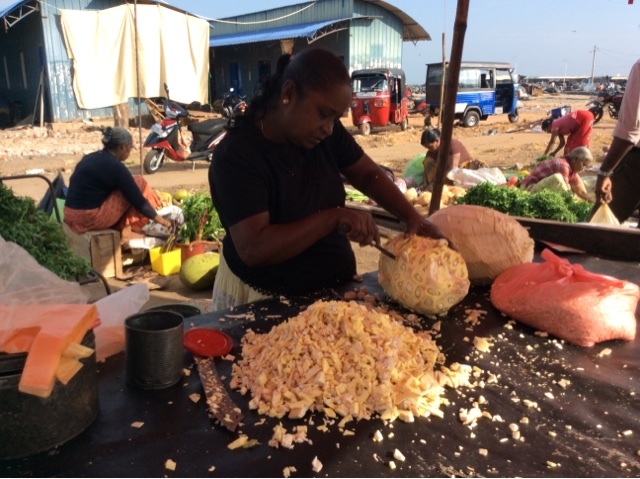 Sri Lankan cuisine with hidden spices and aromas will temp anyone's appetite. 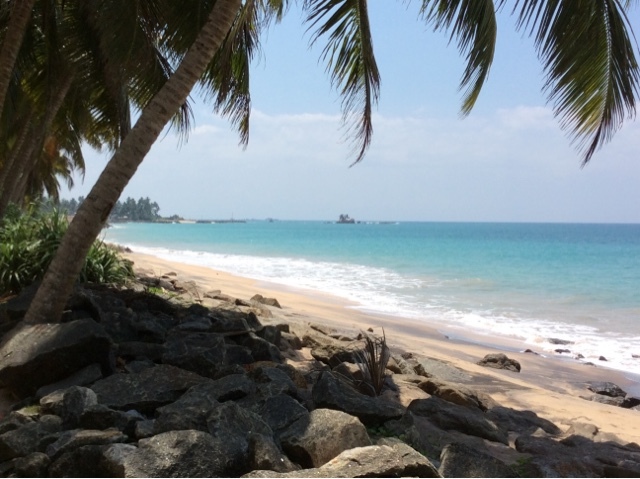 Join me on a trip to Sri Lanka in February 2017, and if you cannot wait until then, we will tailor make a trip to suit your needs. 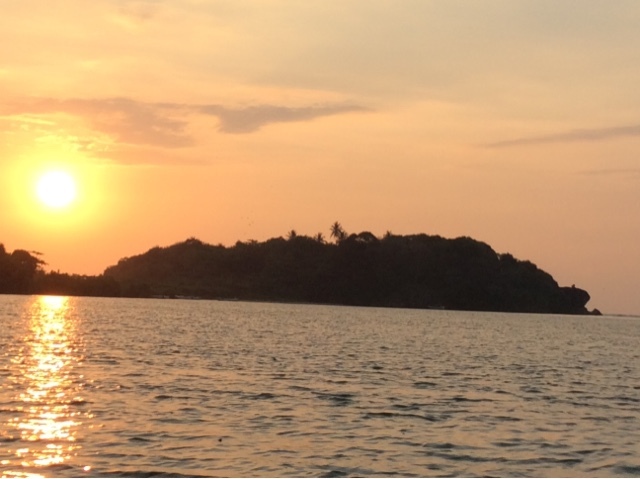 Sri Lanka weather is the same all year round, warm days and balmy nights with magnificent sunsets and sunrises.